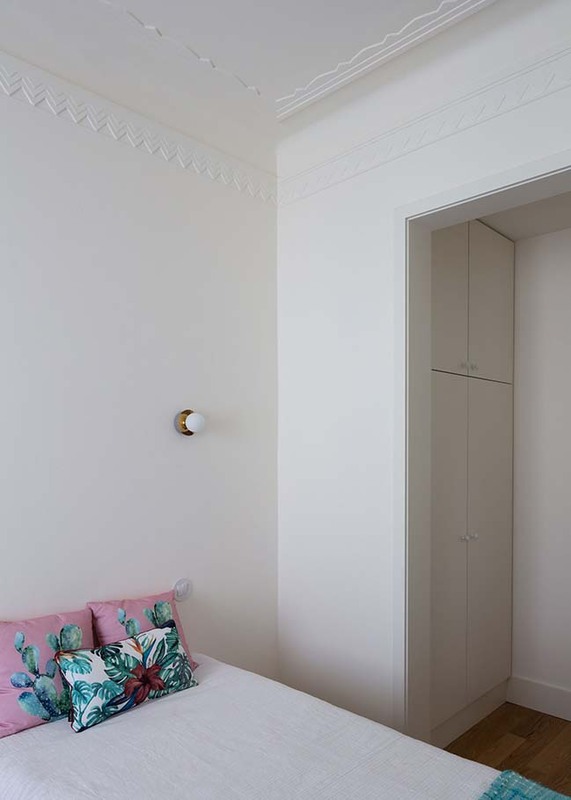 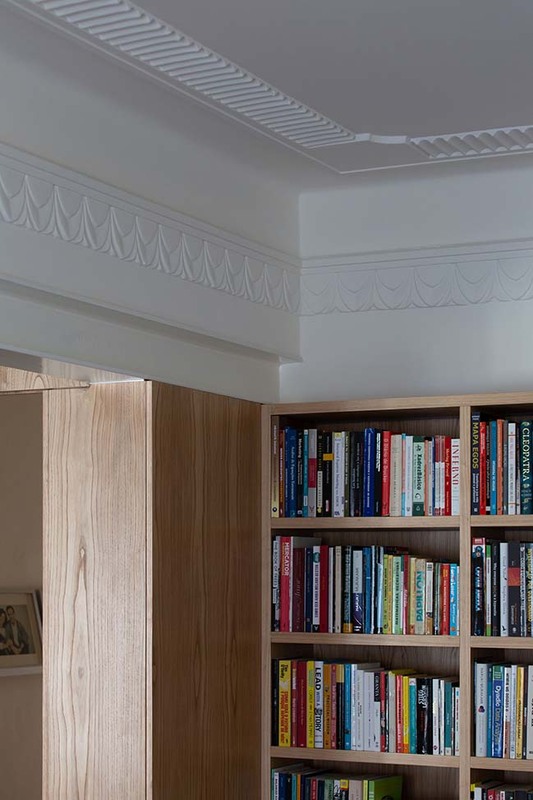 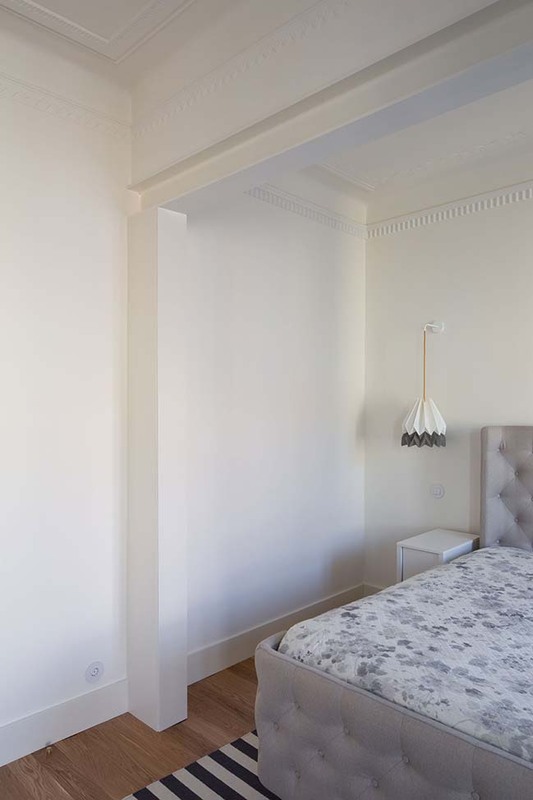 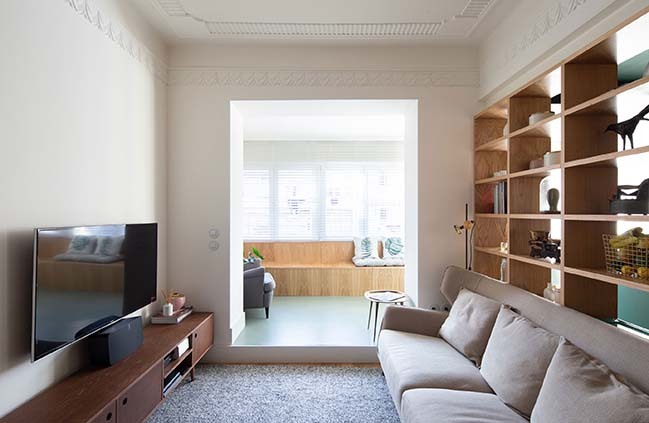 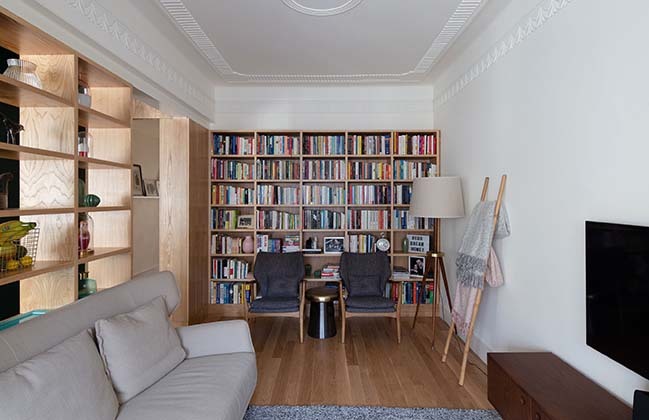 This apartment, housed in a 1932 building, was disfigured and lost a large part of the architectural elements that characterized it, the result of successive random interventions made by the previous owners over the years. 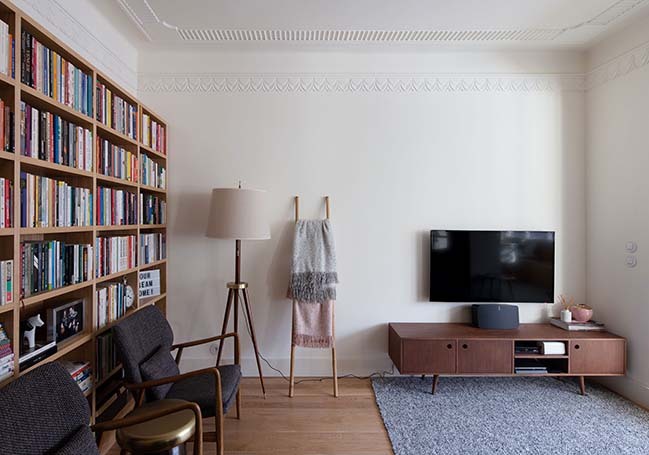 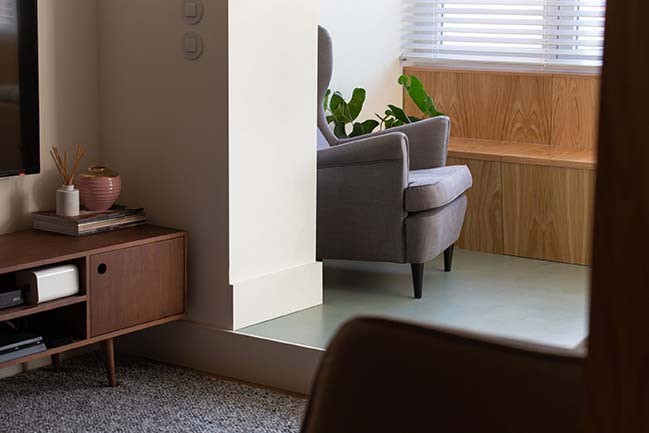 From the architect: The intervention in the space, sought on one hand, to respond to the client's program, which wanted a contemporary home adapted to a modern lifestyle and on the other hand, to preserve the building's memory, through restoring its lost identity. 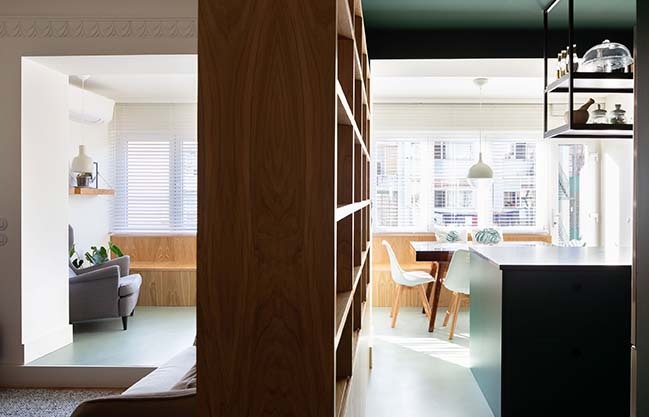 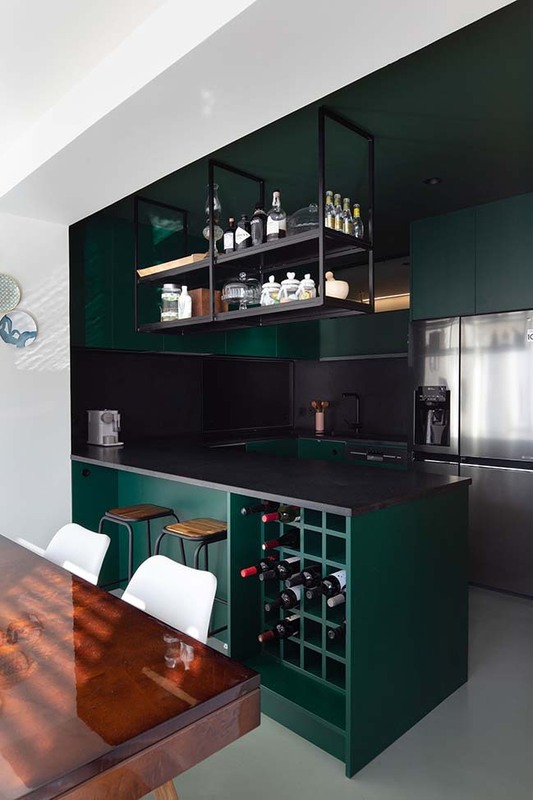 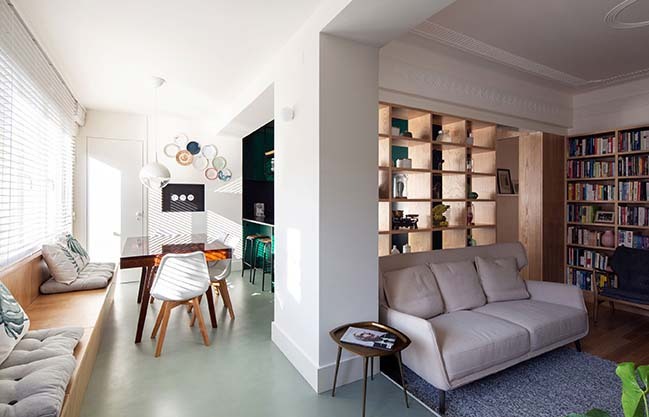 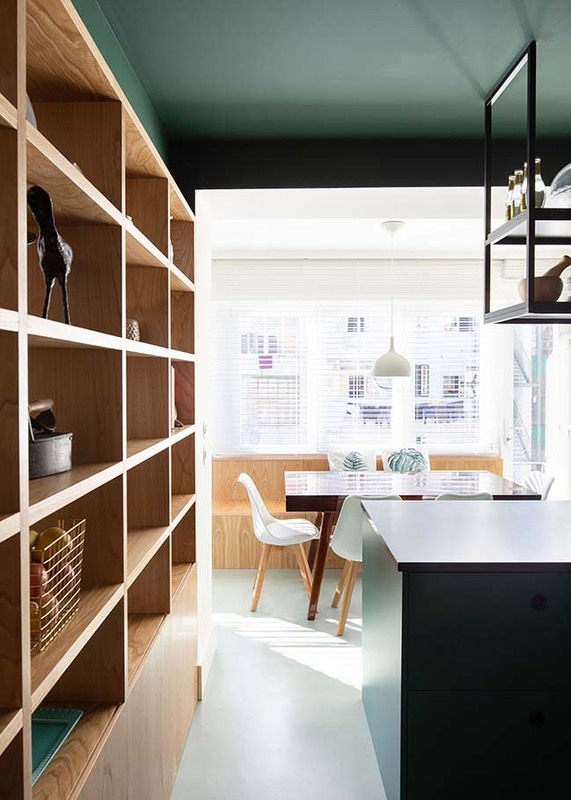 The layout of the apartment was reorganized in order to expand the spaces, converging social areas and unifying small compartments. 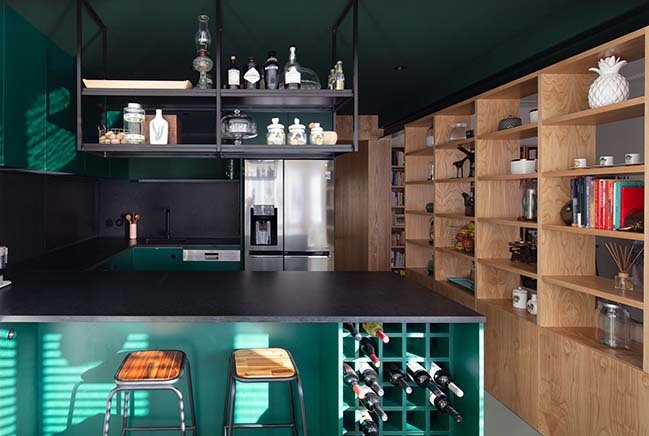 The social area, consisting of living room, dining room and kitchen, was articulated in order to guarantee the fluidity and functionality of the spaces. 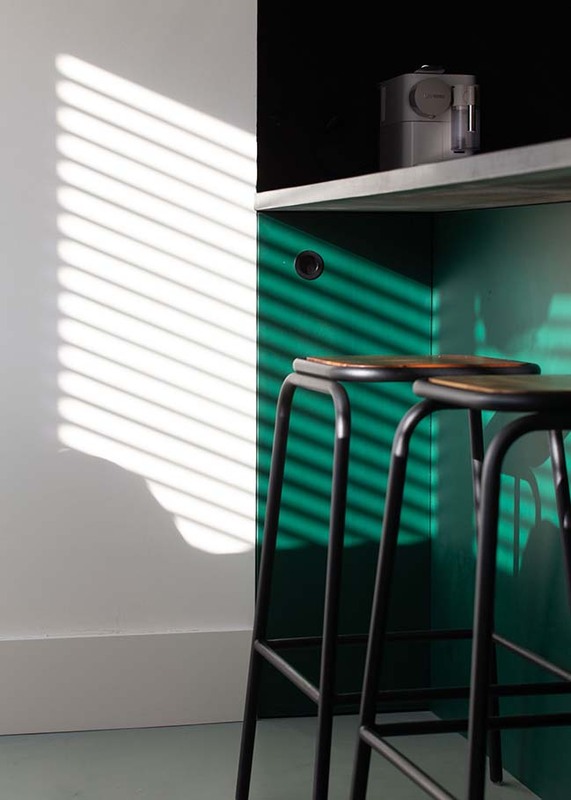 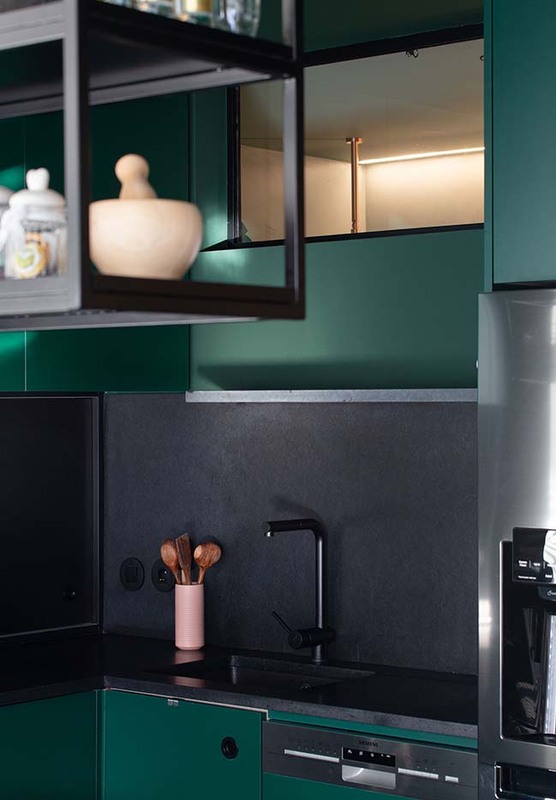 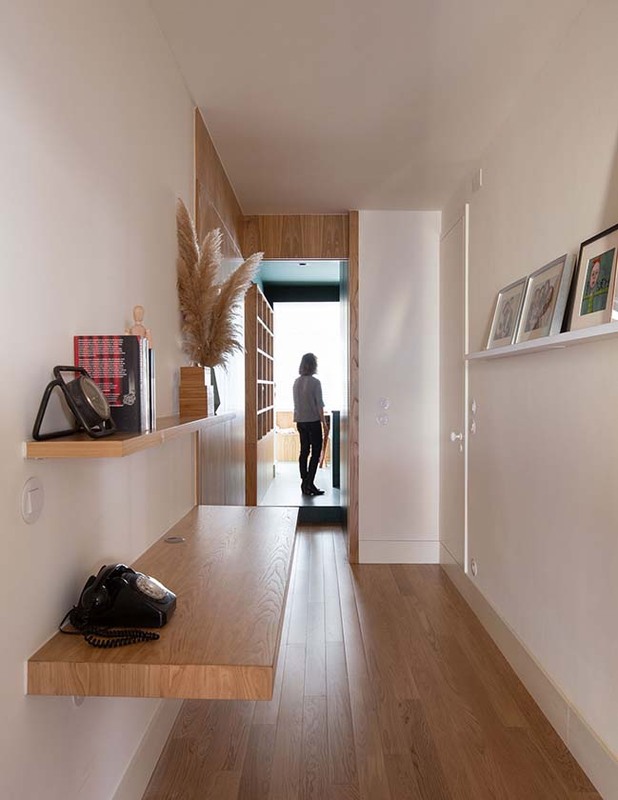 Filter elements separate the three spaces without locking them in, the visual permeability is constant and opens the way to the natural light that reaches even the most hidden areas of the apartment. 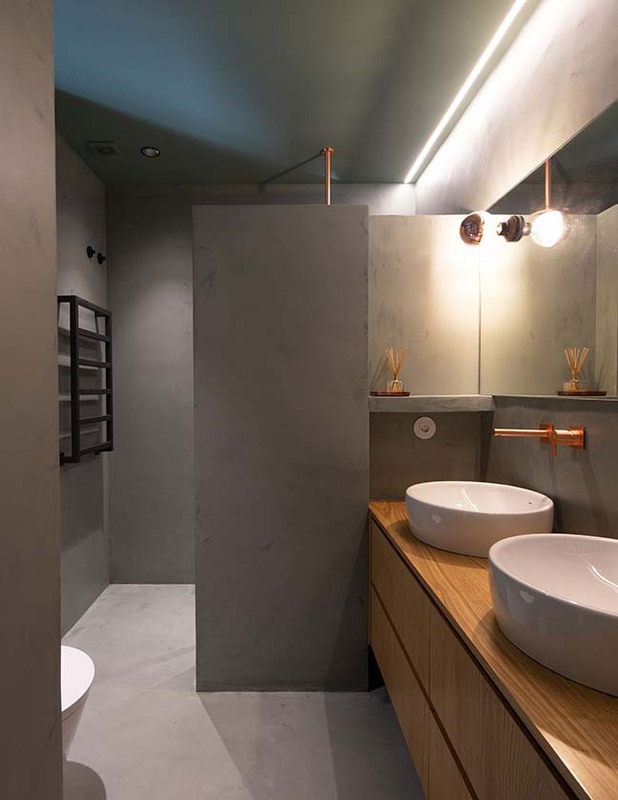 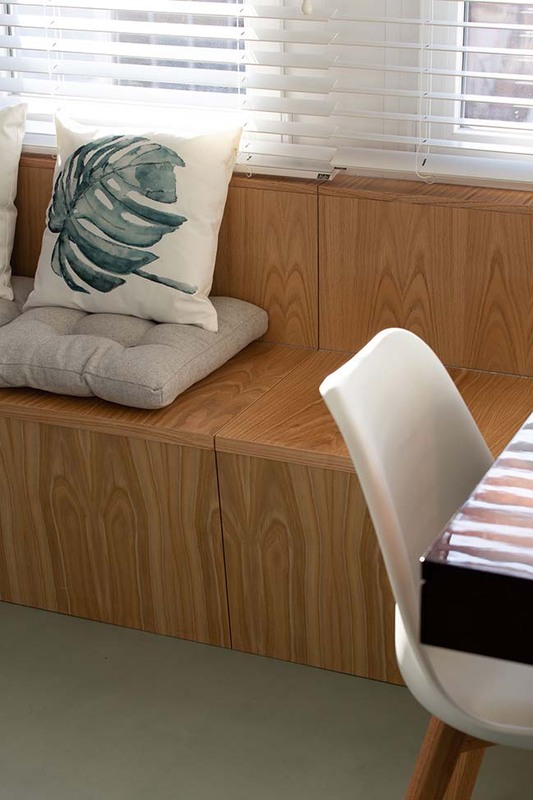 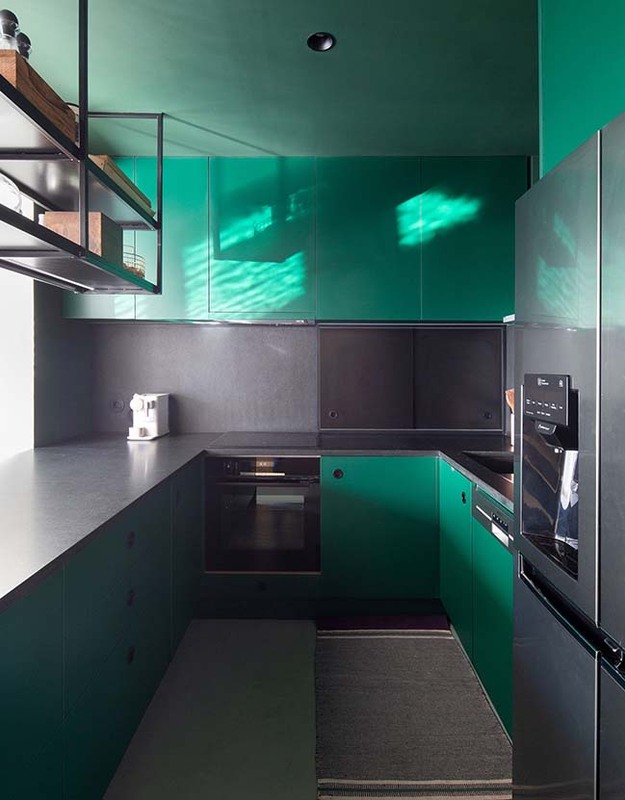 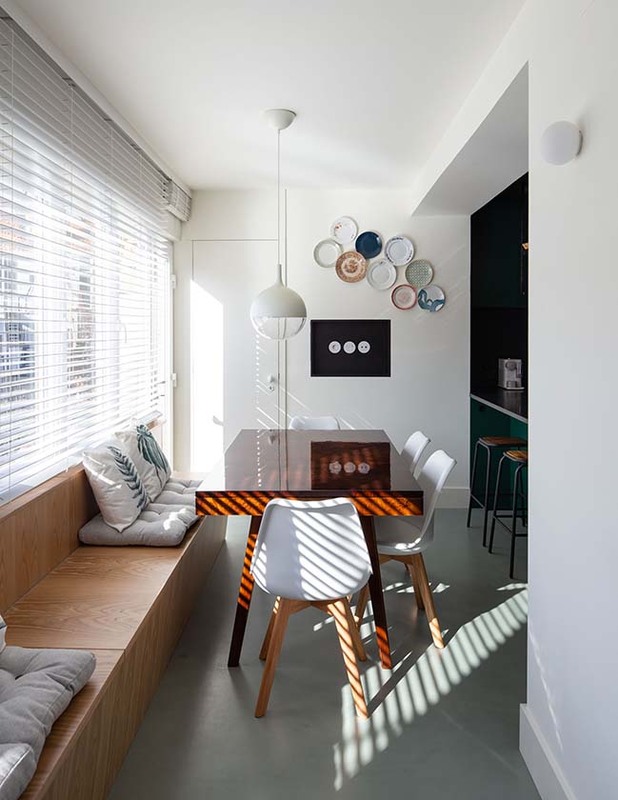 The living areas are white and light filled, in contrast to functional areas such as the kitchen and bathroom, where a saturated color are used to create a more intimate and dense environment.